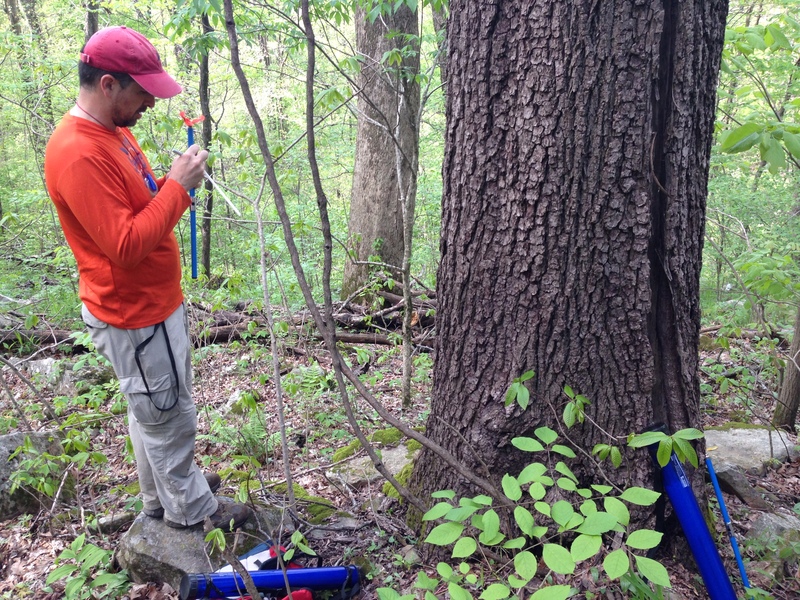 Javier Martin Fernandez collecting a sample of black walnut (Juglans nigra) in eastern Oklahoma. The large tree in the background is a cucumber Magnolia (Magnolia acuminata). Sponsored by the Climate Center of Lamont-Doherty Earth Observatory and led by A. 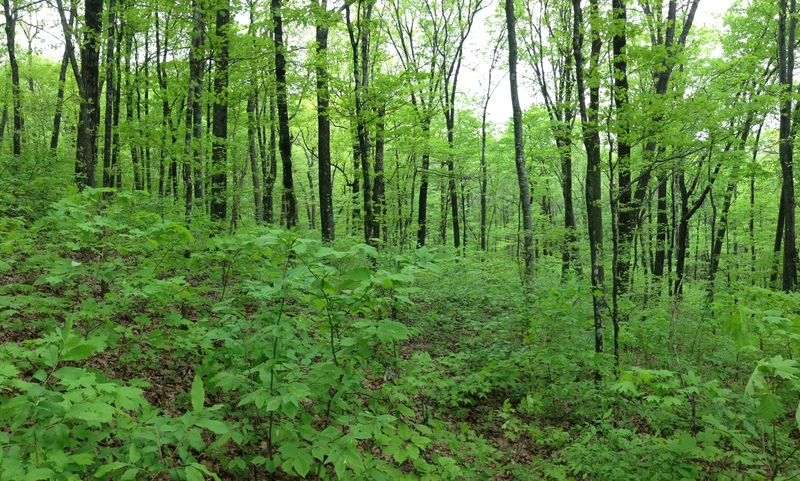 Park Williams, we have begun a project based on Park’s 2010 paper indicating that the forest ecotone in the Southern Plains and mid Mississippi River Valley region might be one of the most vulnerable to global warming. Phase I fieldwork is complete! We hit eastern Oklahoma at Peak Spring at the beginning of one of the wettest late-springs in recorded history. Talimena Scenic Drive, Oklahoma, April 2013.
strong potential for follow-on funding.